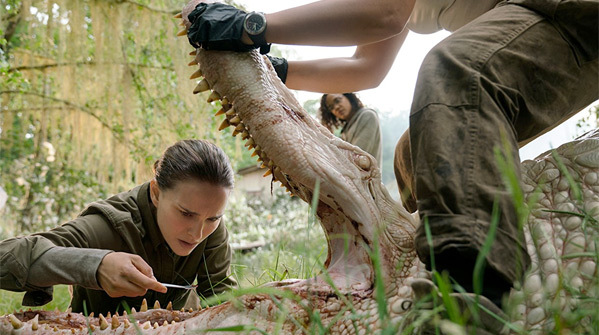 You can also still see the teaser trailer for Garland's Annihilation here, or the last full-length trailer here. A biologist (Natalie Portman) signs up for a dangerous, secret expedition where the laws of nature don't apply. Annihilation is directed by acclaimed English writer/filmmaker Alex Garland, director of the film Ex Machina previously, and writer of the scripts for The Beach, 28 Days Later, Sunshine, Never Let Me Go, and Dredd. The screenplay is also written by Alex Garland, adapted from Jeff VanderMeer’s best-selling Southern Reach Trilogy. Paramount will release Alex Garland's Annihilation in theaters everywhere starting February 23rd coming up soon. It will also be released by Netflix worldwide. Who's still ready to see this?